Things start to get better, I promise. I spoke about in the last installment how two outrageous passes led me to be hidden in the background. It created a deep seated fear of being seen and noticed. I realized this later in the trip and now as a thirty year old woman that there is beauty and power in being seen. I realized it is safe to be seen, to be loved, and to be cared for. It meant an amazing flow of energy between me and another person. The source of this energy was, of course, the Universe. Being seen means expressing myself fully. Being in my real power. It doesn’t mean perfection. Simply authenticity. I visited another movie set and this was a pretty incredible experience. I remember telling Mukesh how neat it would be if I could meet Fardeen Khan. I had visited Film City where numerous television game shows had been shot. Like Amitabh Bachchan’s show Kaun Banega Crorepati, Shah Rukh Khan’s show Kya Aap Paanchvi Pass Se Tez Hain?, etc. I could’ve met superstars Shah Rukh Khan, Amitabh Bachchan, and more if only they weren’t filming overseas at the time! I have to admit I wasn’t overjoyed because I wanted to have the precious opportunity to meet them. After all, it’s not everyday you’ll meet them! Life continued on in Bombay. I visited more film sets and studios. I remember visiting an audio recording studio that was so dusty and a strange smell penetrated the whole studio. My sense of eye sight and imagination was more shocked because I imagined the studios would look a lot more glamorous. I remember reading in interviews where stars spoke about the not so glamorous conditions they worked in and the long hours, yet I never imagined it would look like this. My bathroom must’ve been in better condition than this studio. And I believe this particular studio was owned by Salman Khan or a member of his family. It was interesting to see photos of him and his family adorning the walls. I also had fun telling my family and friends the story of how this studio looked. So I guess it makes for an interesting story! Another day, I visited another film studio. I honestly had no idea where I was being taken and what part of town, I just flowed wherever my guide, Mukesh, took me. This studio was in better condition than the audio recording studio. It was more spacious and there were several rooms. I sat in the middle area on a bench, bored because I wasn’t witnessing any kind of filming taking place. There was numerous film crew around, but I didn’t recognize them and they were deeply absorbed in their work. I had no interest after about five minutes. A couple days earlier, I was enjoying a delicious ice cream with no care in the world. 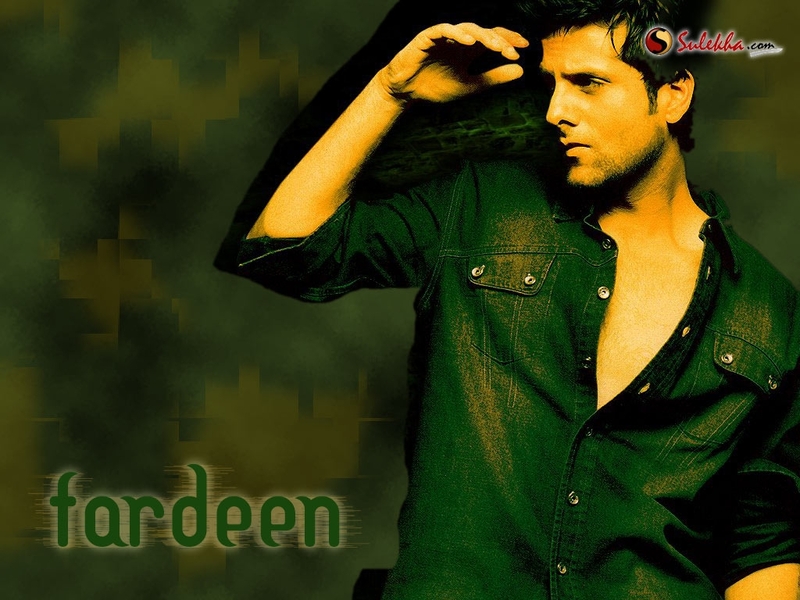 I was going on and on about my favorite actor, Fardeen Khan, and how much I loved him and how handsome and hot I thought he was. I fluttered my eyelashes and fawned an exaggerated sigh about how I would behave if I met him. Mukesh chuckled at my fan girl attitude. He never saw me become as excited as I was talking about Fardeen Khan, lol. Now back to the film studio again. Thirty minutes passed. I thought I wasn’t going to see or meet anyone worthwhile and told Mukesh we should just head out as I had seen enough at this studio. We could go sight seeing or visit another mall. I also wanted to eat, too. He just nodded his head and told me to wait ten to twenty more minutes. I took a deep breathe and agreed. I made myself busy on my cell phone. After some time, I noticed film crew members who were earlier hustling around the studio suddenly whispering (rather loudly) in hushed voices that he received the money finally. I turned my gaze at Mukesh who said that the star of this movie the crew was working on hadn’t received his full money so he refused to come to the shooting. I became wide eyed and asked him, but wouldn’t that not be good for the film director and crew and shooting schedule? He shrugged his shoulders and said this was what happened typically with stars, especially when they didn’t receive their money on time. Apparently, the director rushed and made his money magically appear and now the star was on his way to the studio. I didn’t even bother asking Mukesh this time who the star actor was. The sounds of the crew became louder and then I realized why. The star actor was here! I scanned the area, yet I couldn’t find him. Until literally inches away, I saw a very handsome guy with a baseball cap on and track pants and a casual shirt on. I blinked my eyes. And then blinked them again! It couldn’t be! I turned to look at Mukesh and he flashed an impish smile at me. It was FARDEEN KHAN!! My favorite movie star standing inches away in casual attire you wear to the gym. And he still looked damn hot! We all know actors and stars are normal people like you and me, yet to meet and see them in person and especially your favorite movie star is simply a surreal experience. It felt like a dream to see him. I hadn’t the opportunity to meet other stars like Amitabh Bachchan, Shah Rukh Khan, Aishwarya Rai, Kareena Kapoor, so I hadn’t expected to meet anyone else major during this trip. I wish I can say that I ran up to him and tapped his arm and asked for an autograph and gushed to him how much I admired his work and loved him. But I didn’t do that. Instead, I sat frozen on the bench not moving an inch of my body. I felt my whole body become warm and fuzzy. My feet so desperately wanted to move, but my mind didn’t command them to move. It was the perfect moment. When was I going to meet him again? The Universe handed me the perfect moment. The Universe listened to my desire. All I had to do was do my part. Minutes later, I saw two older men with glasses and identical faces wearing total crisp white suits on. It was the famous director brother duo, Abbas and Mustan. I read in interviews and articles that both these brothers always wore white suits on. And my goodness, they truly did in real life. I guess they really liked white suits! Abbas and Mustan grabbed Fardeen Khan and they started chatting, presumably about the shooting schedule and the script and scenes. There went my opportunity. Sigh. I got up and exclaimed my surprise to Mukesh. He laughed and said he thought I would faint or run over to Fardeen Khan right away to get his autograph. He wanted to surprise me that my favorite movie star was showing up here. I laughed with him and thanked him, though in the back of my mind I was beating myself up for not taking advantage of this opportunity. I couldn’t believe I was in the studio with the director duo Abbas-Mustan and Fardeen Khan. I loved their movies! This was literally a dream come true. Later in the night, I remember thinking: How could my dream come true? How was that possible? As Fardeen Khan became busy, Mukesh and other crew members told me I could watch the dubbing for the actress of the movie: Amrita Rao. I sat in a private room where only exclusive members of the film crew could sit. I was getting amazing access to watch her actually recite and dub her lines. There was another room inside this private room where she stood saying her lines. In the room I sat in, the lyricist and dialogue coach and a few others guided and worked with her to complete the dubbing. I heard the lyricist and dialogue coach mutter annoyingly to each other how the stars and kids of today don’t know any Hindi or Urdu (India’s native languages) and only focused on speaking English and hence she wasn’t able to pronounce the lines properly and it took an endless number of takes. I must confess she was strikingly beautiful in real life as on screen. She was just as slim, too. However, I found her to have somewhat of a sassy attitude who was very aware of her beauty. After that was complete, I went home and thought what a day! Every day here in Bombay blew me away and astounded me. Every day was so different from the other. The next couple days were the last for the program so I spent some time meeting up with directors I had met earlier in the month as they wanted to meet. I wasn’t so nervous this time because I had already met them and there was a certain comfort level established. One director told me to read the book, Marrying Anita at a gorgeous coffee shop situated in the Lokhandwala area of Bombay (where I recognized more television actors enjoying their coffee as this was a popular hang out spot for film and television people), and tell him what I thought of the book after I read it. He said he was looking to cast someone should he make the adaptation on this book. I became frozen as the book was about an Indian American girl who travels to India looking for love. He gave me his email and told me to keep in touch with him. I bought the book immediately at some book store at the mall. I read the book and when I reached California again, I told him my thoughts. I was curious and did some research on the book and found an article where the writer mentioned in the interview she was collaborating with a director for an on screen film adaptation to be made on the book. Another director I met asked me if I would be interested in acting or becoming an actress and I was just dumbfounded. He asked me the question like what I was going to study in college. It was said with seriousness and posed as a legitimate question. I became red in the face and a shiver ran down my back. My stomach churned. I didn’t know the answer to that question. I told him I had never really considered it. He nodded and we made more talk. Towards the end of our conversation, he said we should keep in touch and that I should consider it. When the last day of the program rolled around, my uncle, aunt, and niece dropped me at the Bombay airport. We said our goodbyes and I took the flight home. I read the book during the flight and had the time to process everything that happened. I remember a million questions buzzing in my mind: How could I become an actress? Was I good enough to be an actress? Was I pretty enough to be an actress? Did I have the talent? What would my family think? Could I live in Bombay because I’m essentially an American girl? Did they just say that to me to mess with my head and not mean it? Did they just want to sleep with me? Did I just imagine this and I’m hallucinating? To those who know me and say I look completely calm and unfazed, this is exactly what goes on in my head. I have a million thoughts racing in my head. I’m confused and unsure most of the time. When I look back, I realize that the desire of becoming an actress didn’t fruit or materialize because I freaked myself out and even before it could become a reality, I thought of the reasons why I couldn’t or it wouldn’t happen. I did the same when meeting my favorite movie star Fardeen Khan. I didn’t want to be seen as there is a vulnerability to being visible. I now know what I didn’t at the time. To manifest your desires with ease, whether you want to manifest a partner, home, creative idea, money, career, or health, you must be absolutely clear with your intention and desire and release it to the Universe. When the Universe does its part and brings your desire or an amazing opportunity to you, you don’t let your fears come in the way and question it. Rather, you get out of your own way and believe that if the Universe brought the desire and opportunity to you, then you do your part by trusting and surrendering to the process and that you have all you need to do your part of the deal. That you are deserving and worthy of all the beauty, love, and abundance life wants to bring you and you ALWAYS welcome it with arms wide open. You accept the desire as a beautiful gift given to you by the Universe. You receive it with deep joy and gratitude and allow yourself to be visible. Have you had a desire you wanted for so long become a reality or receive an amazing opportunity and you let your fear and sense of worth get in the way? How did you feel? How would you deal with it differently today? What did you learn and grow from the experience? Please share with me in the comments. I’d love to hear your experience!